We. – Be bold. Italic. But never regular. We love. We fight. We talk for hours. We search for each other. We touch. We kiss. We gossip. We hold each other’s hand. We lie. We feel jealousy. We enjoy sweats. We love bed. We watch movies. We cuddle. We hurt people. We tease. We hug. We tell sorry. We laugh, oh a lot! 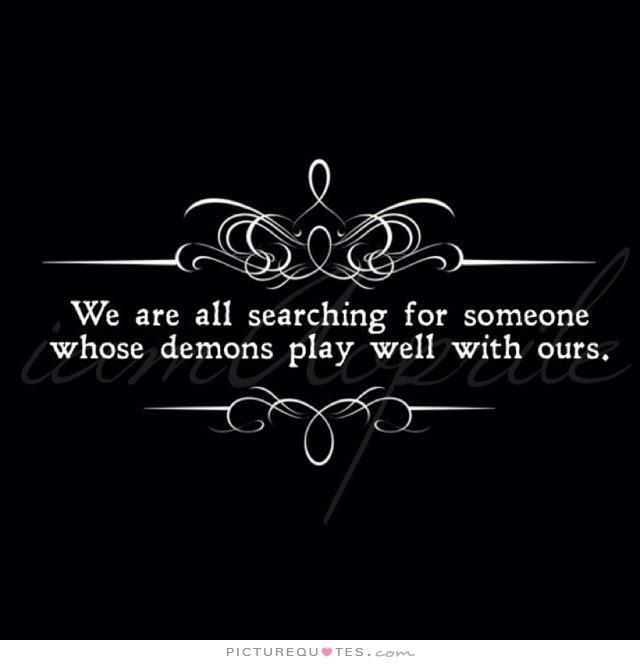 Yeah….I guess my demon plays well with yours.